Sew what's cooking with Joan! : Short Rib Ravioli with Mushroom sauce! There are a lot of foods that can be considered decadent, I think, but slow braised beef short ribs have to be near the top of the list, for me. Beefy, hearty and oh so scrumptious, these unassuming looking slabs of meat cannot be overstated. I don’t know why I don’t make them more often, but 2 or 3 times a year they find their way into my repertoire with a bottle of Cabernet Sauvignon and a few other ingredients. About 6 hours later, I’ve got fall of the bone juicy pieces of steaming beef ready to be paired with almost anything and the residual jus from the pot is like liquid gold. As perfect as they are simply accompanied by my creamy mashed potatoes, as in my December 3rd post. I recently was inspired to step it up! 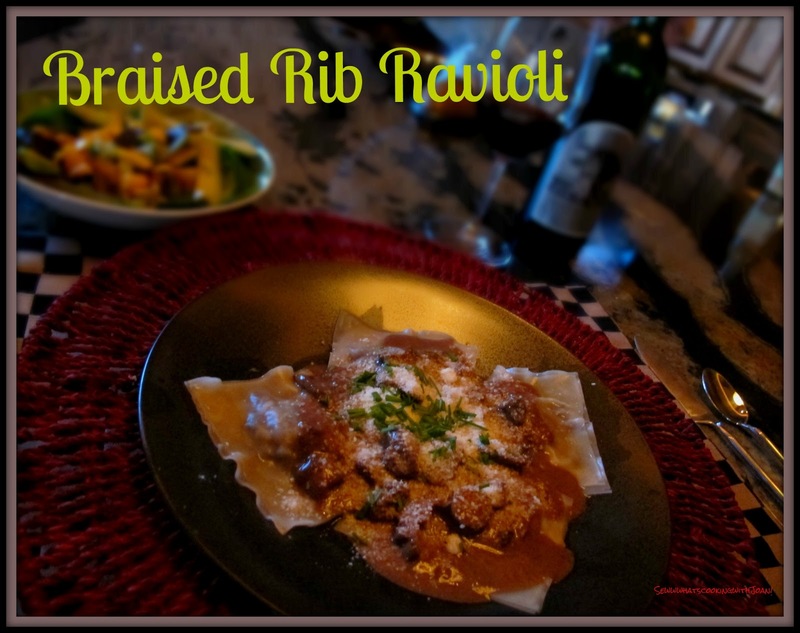 I thought on Sunday night I would make my Braised short ribs , and on Monday make ravioli from the left over meat. This worked out perfectly! I was able to get 4 delicious dinners for two adults, out of 5 pounds of Beef ribs!! Now, I have never touted myself as being budget conscious, but this did work out well for those that are! Technique for filling: Rehydrate the dried mushrooms in hot water for about 30 minutes, keep liquid for sauce. Roughly chop them. Place the onions in a large pan with tightly fitted lid and saute on med/low heat with lid on to caramelize, about 30 minutes, until golden brown. Stirring it about every 5 minutes. In another pan, saute the rehydrated mushrooms in olive oil and season with salt and pepper. Add the shredded short rib meat and caramelized onions. Adjust seasoning. Set aside. 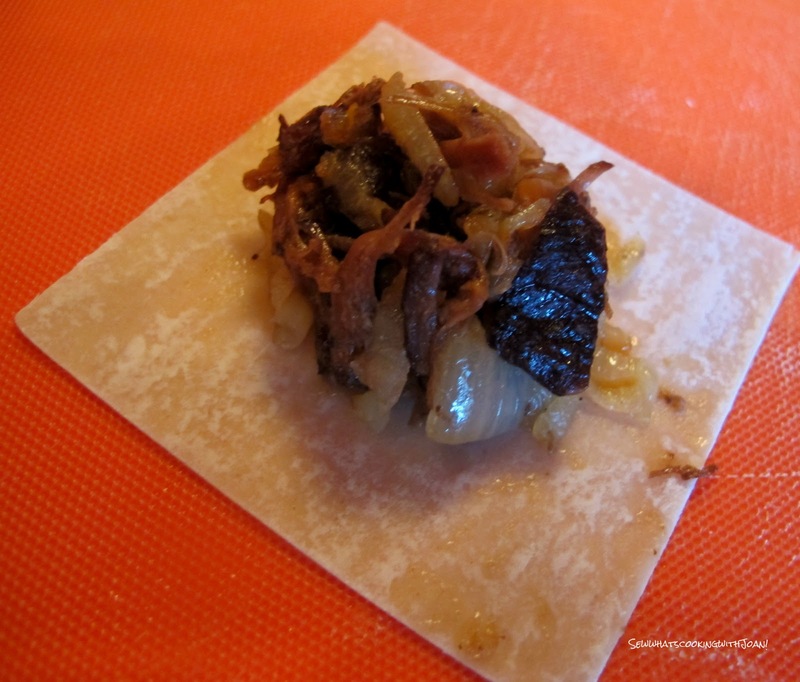 Place 1 tablespoon of filling into the center of each Wonton Wrapper. Brush the edges with water, that helps to keeps them tightly sealed during the cooking process. Place another Wonton wrapper on top and seal tightly, pressing out any air. *If you would like to freeze some, lay them on a cookie sheet and freeze in a single layer. Once they are frozen, place them into a zip lock freezer bag. Saute the shallots and fresh mushrooms in olive oil and butter, in a pan on medium heat until golden brown. Season with salt and freshly ground pepper. Add 2 cups of reserved braising liquid and water from the rehydrated mushrooms. Continue cooking on high until quantity is reduced by half, about 15 minutes. Add the half and half and let it simmer to thicken, about 10 minutes. Cook the ravioli in salted water at a low boil for 2-3 minutes or until the ravioli floats. 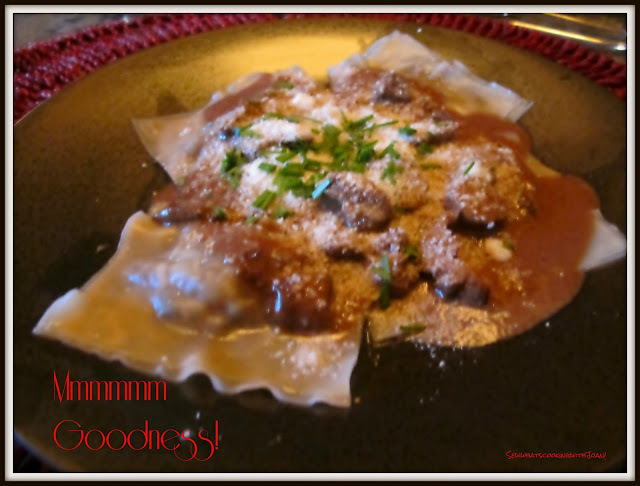 Serve 3-4 raviolis per person, add the mushroom sauce and garnish with Parmesan and chives. Wee Bear could not stop gushing about this dish and I, well, it is delicious! 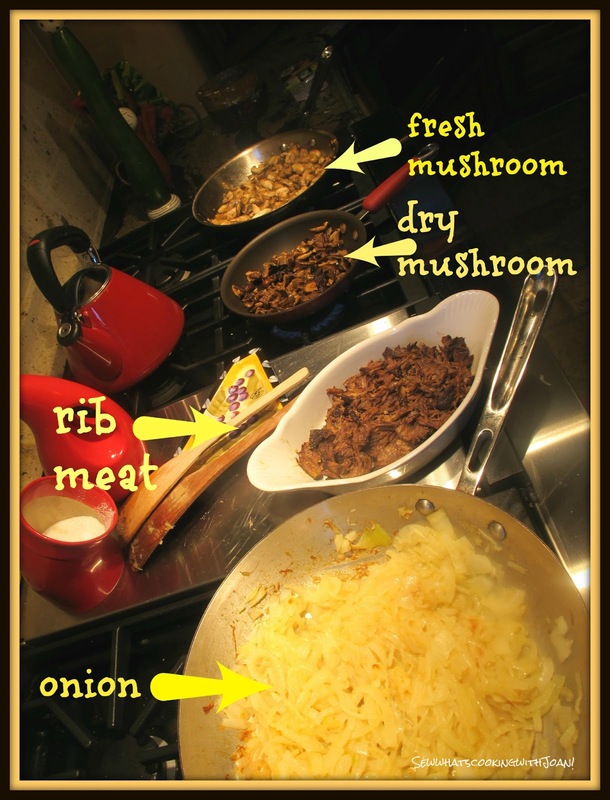 I took my favorite braised rib recipe to the next level! 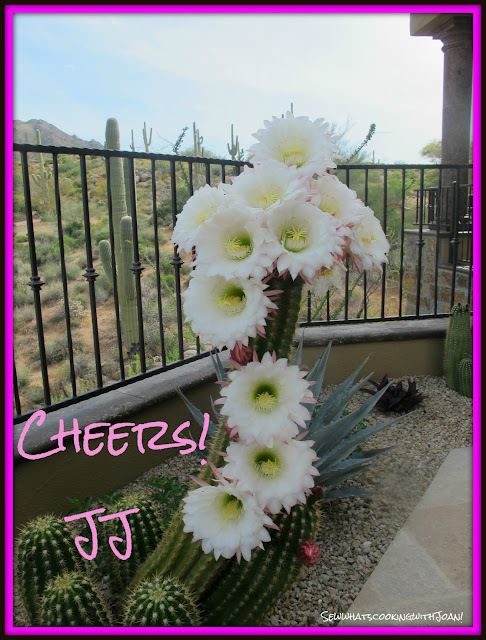 Last night, as we were sitting with our guests for an evening glass of wine, we noticed that our cactus had suddenly opened its blooms! Welcoming our guests in from Cabo San Lucas! 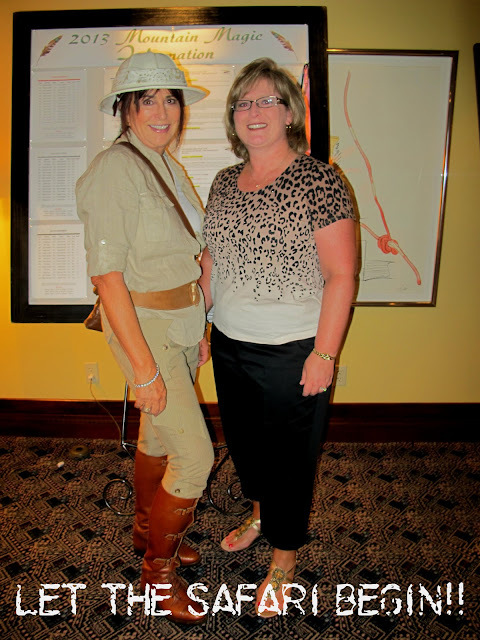 Wendy and I are in the midst of "Mountain Magic" our Safari themed member/guest tournament. Three days of competition started yesterday. We are off for the second day today, sitting in first place gross score! We also qualified for the horse race which we will play today after playing 18 holes in competition!